There are currently 72 people online. 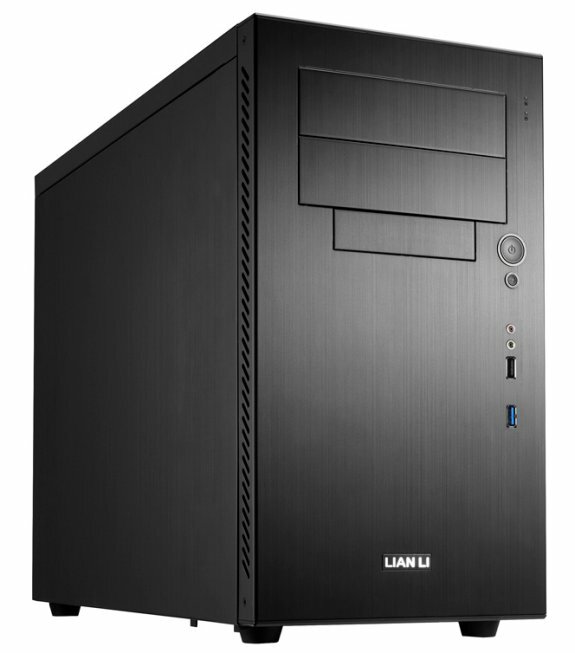 Lian Li announced the PC-A05FN, a new mid-tower case with a back to front cooling scheme. It will ship by the end of this month for $119 (excl. VAT). 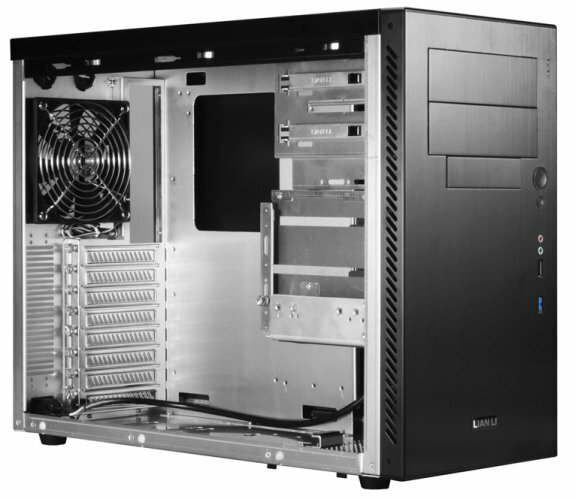 Lian Li Industrial Co. Ltd, maker of high-end, all-aluminum computer chassis since 1983, today releases an all-aluminum, high-end, mid-tower PC case available in silver or black called the PC-A05FN. With their commitment to optimizing instead of merely following convention, Lian Li's designers have positioned the PSU mount behind the front-panel at the base of the case, directly below the HDD cage. This unique design characteristic is complimented by a reversal of Lian Li's traditional front-to-back cooling scheme in order to achieve an increase in heat-dissipation within the PC-A05FN while reducing chassis size. With its chic and clean design, this computer case proudly bears all the markings of Lian Li's high-quality products and fits nicely into their list of outstanding 2011 releases. In most of Lian Li's PC chassis front-panel fans are for intake and back-panel fans are for exhaust, but in the PC-A05FN this is reversed. At the top of the back-panel, a 120mm intake fan pulls cool air into the chassis. Hot air is expelled with the help of a front-panel, 120mm exhaust fan positioned directly in front of the HDD cage with the air escaping through venting along the side edges of the front-panel. For users who want to increase airflow, Lian Li has included a 140mm top-panel fan mount (fan not included). Additionally, designers have included a vent directly beneath the PSU mount, protected by a washable air-filter. Two rubber-lined holes on the back-panel enable LCS and venting along the back-panel also helps to keep temperatures cool, even when components have been overclocked. Also included is a fan speed control-switch mount (switch not included). Internally, three 3.5” and two 2.5” HDDs mount using thumb-screws with rubber-suspension. Two 5.25” ODDs mount with Lian Li's tool-less design at the top of the front-panel. Directly beneath them, an external 3.5” HDD mount has been included as well. Additionally, there are eight, tool-less PCI brackets on the back-panel that can mount VGA cards as long as 280mm. Lian Li has made the PC-A05FN compatible with ATX, Micro-ATX, and Mini-ITX motherboards. The power switch is located along the right edge of the front-panel right above one USB 3.0 port, one USB 2.0 port, and HD Audio ports. The all-aluminum, PC-A05FN weighs in at 4.4kg. Its dimensions are 210mm x 385mm x 500mm (W, H, D). This exceptionally designed computer chassis is sure to be a hit with users who like to be on the front lines of innovation without sacrificing quality or style.